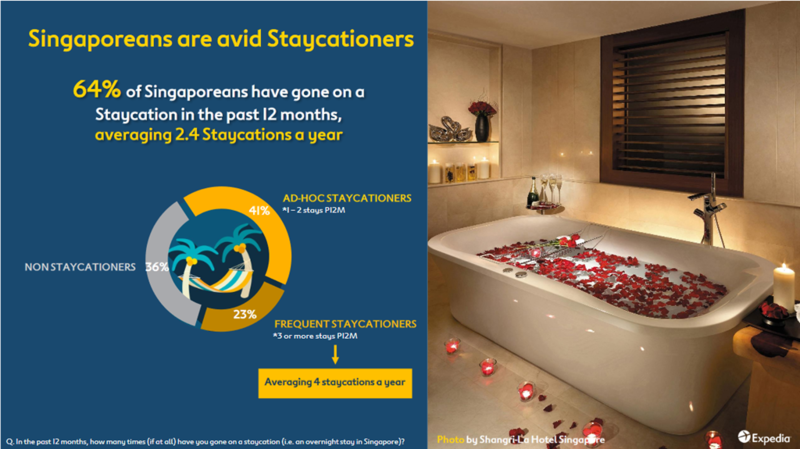 Brand Expedia recently released the findings from its 2018 Singapore Staycation Study, which surveyed over 500 Singaporeans aged 21 and above who were the decision makers for their holidays. The survey results are quite interesting, and if you have time, you should read the full results here. But more importantly, how do you benefit from all that information? Well I’ve sieved through all that information and here’s my tips on how to maximise your next staycation as well as advice to hotels on what they need to do to entice more Singaporeans to go for staycations. If you’ve never been on a staycation, try it! First of all, if you’ve one of the 36% of the population who have never gone on a staycation, know that you are in the minority! You may feel uncomfortable about going on a staycation, or wonder what’s the big deal about it, but give it a chance because you just might love it so much you might become one of those frequent staycationers who average 4 staycations a year! Check out my staycation reviews here!